We often get asked what it’s like to run a supperclub from my home as well as what we did to get it started. So I thought I’d write this post to give you a behind the scenes look into Dinner at the Manor. We decided we wanted to run a restaurant from home having seen supperclubs reported in the media. 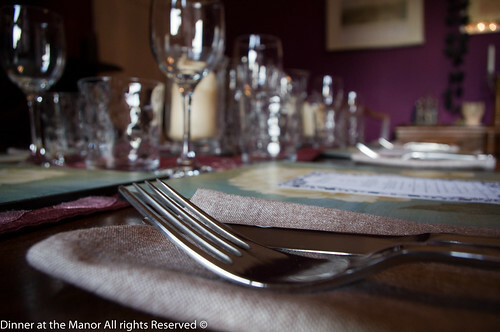 Kerstin Rodgers’ book Supperclub, was a huge inspiration and really helped us from getting from pipe dream to reality. Although Susie and I do not live together I knew she was a good cook and thought we’d make a good team at running Dinner at the Manor. Susie runs food blog Sticky Pinny. This entry was posted in Unknown and tagged Dinner at the Manor, Leeds, Leeds Brewery, Leeds WIne, Leventhorpe Vineyard, Licencing Laws, Supper Club, Underground Dining, Underground Restaurant, Yorkshire on March 4, 2012 by martinimanleeds.